Below is the Learjet 45 Performance information for the Learjet 45 XR (Learjet 45 XR Performance). Learjet 45 range with 8 pax: 1,900 nautical miles, 2,186 Statute Miles or 3,519 kilometers (IFR Reserves, ISA, with 8 pax/2 crew). Learjet 45 Speed: 465 knots (typical cruise). 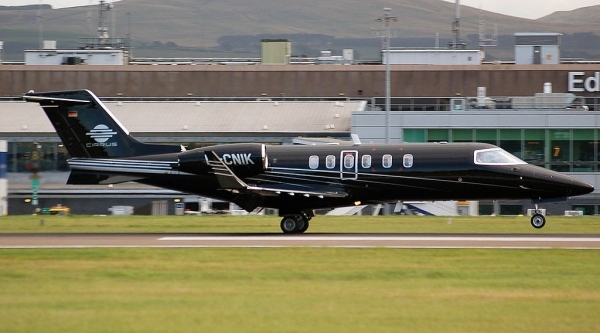 The Learjet 45 performance are also referred to as the LJ45 performance and the Bombardier Learjet 45 XR performance. Above Learjet 45 Performance page photo by Scott Wright on Wikimedia Commons. Photo (only) released under a Creative Commons License.